I captured this image on the first day of this month, my how time flies, I thought I took it just last weekend. 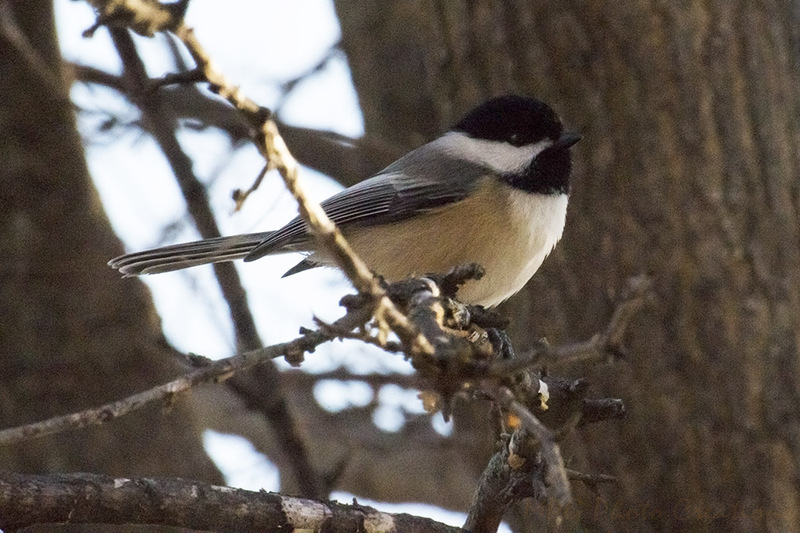 It's rare when a Black Cap Chickadee sits still and even rarer when it does it in a spot where I can get a shot and extremely rare when it's fairly close. I got really lucky with this image. The ISO on my camera was set pretty high so it's kind of grainy in the tree area but it allowed me to get this shot on a very cloudy morning.